Bantam, U16 and U18 teams will be held two separate weeks in April. The first week that NJYHL will permit clubs to hold tryouts for Bantams and Midgets is during the week of April 15. Recognizing that area schools are on vacation that week and many families have plans to be away, we will also hold tryouts the week of April 22. No CHC family should feel compelled to change any spring break plans. Family time is important and hockey in April should not trump your vacation. Teams will not be finalized until after all tryouts are concluded by April 24. Specific times and days are posted on the TRYOUTS tab and on the Calendar. Interested in trying out to be a goalie within the Cranford Hockey Club? There are certain benefits for being a goalie within the organization. First, the $50 tryout fee for Goalies will be refunded after the registration is completed. Second, the season tuition is 50% of regular player tuition rates. Third, in-season incurred expenses for private goalie instruction will be reimbursed up to the amount of tuition paid. Note: Cranford Hockey Club does not roster Mite level goalies. We believe in the complete player development, and appreciation for all hockey playing positions. As such, we encourage players at this age to develop the complete game: skating, stick handing, offense and defense, and we rotate players into the goalie position. 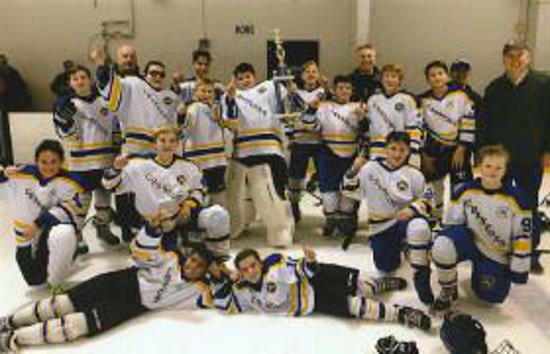 The Cranford Hockey Club (CHC), established in 1956, is the oldest youth hockey club in New Jersey. We pride ourselves in providing the best value for your hockey dollars in the region. We are a non-profit, family-focused organization led by volunteers and coaches (many of whom have played at high levels competitively) and driven by a love of the game. Go to the "TRYOUTS" tab above or click here to see the full Tryout schedule. 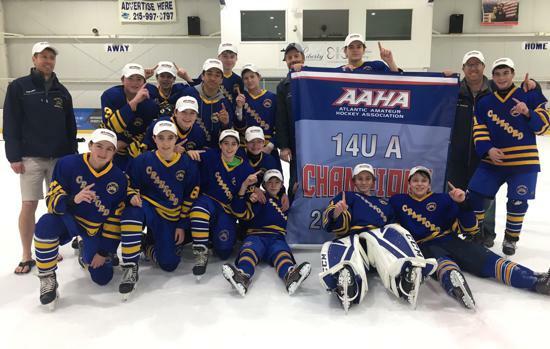 CHC's Bantam A team won the AAHA District tournament on 3/17/2019 with a 2-1 thrilling overtime win!!! This is a tremendous accomplishment by the the players and coaches - we can't wait to hang the banner proudly! 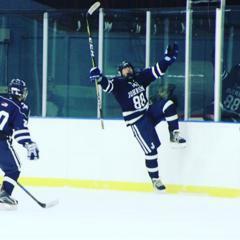 The team had to get through a tough NJYHL playoff schedule, and then went 3-0 through the St. Patty's Day weekend schedule against the best from the Atlantic District had to offer! Congratulations to Thomas, Will D, Eemil, Jake, Will T, Jacob, Grady, Michael, Christian, Connor, Mark, Jonathan, Danny, Luke, Simon and Coaches Devaney, Thompson & Ludwig. Bantam A Advancing to Districts! 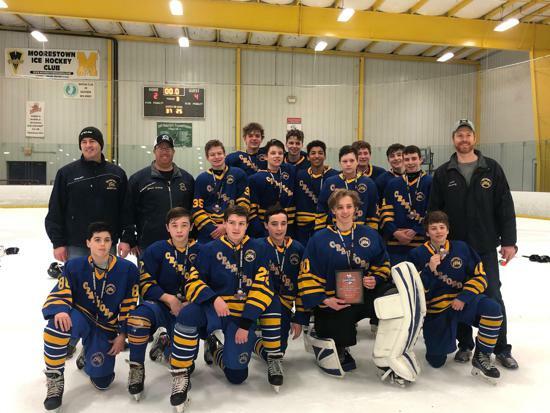 Congratulations to Cranford Hockey Club’s Bantam A team on a successful NJYHL playoff weekend, and advancing to the Atlantic District (AAHA) tournament. 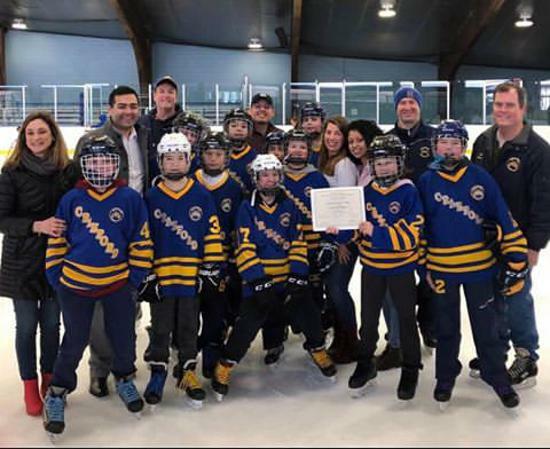 The team finished the weekend with two wins and one loss, losing only to the eventual NJYHL champion 2-1 in a heartbreaking double overtime loss. They now head to Colmar, Pennsylvania on St. Patrick’s Day weekend to play the Grundy Senators. The game will be Saturday afternoon at 1 pm in the first round of Atlantic District playoffs. 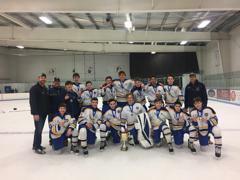 Congratulations to the Bantam A team that finished 1st place at the Presidents' Day tournament in Hershey, PA. Bantam A had a great round of games as they went 5-0 overall, including 2 shutouts victories. Game play was impressive--they scored 27 goals and only had 3 goals against. CHC faced the Delco Phantoms to win the championship in a 3-1 hard fought game. CONGRATS TO TYLER MEKOVETZ ON 100 GOALS !!!! 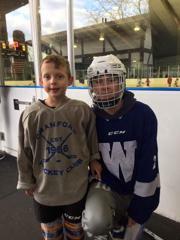 Congratulations to our very own Cranford Hockey Club's TYLER MEKOVETZ for scoring his 100th career high school goal last night. This incredible achievement is part of an impressive season Tyler is having for Arthur L. Johnson High School. Tyler has already scored 37 goals along with 12 assists which also includes 7 hat tricks! Congratulations Tyler on this milestone and good luck for the rest of your season!!! This year Cranford Hockey Club will again host its Learn to Play (LTP) session for younger players! Registration is open for the area's best LTP - sign up at https://warinancopark.com/sports/ice-rink/. 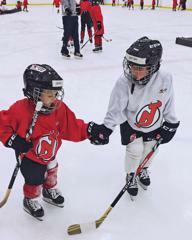 The LTP is a multi-week engagement where kids learn the fundamentals of skating, stick handling and game play. These skills are taught by CHC coaches and older CHC players and are designed to be fun for the players. Get a discount by signing up for both sessions 2 & 3 - apply promo code WSC2019CHC at checkout. See you on the ice - next session starts 12/30! ©2019 Cranford Hockey Club / SportsEngine. All Rights Reserved.